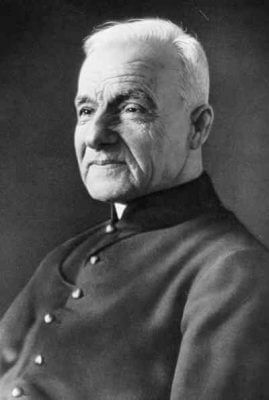 Saint André Bessette, Religious - My Catholic Life! Saint Paul teaches in his letter to the Romans that faith comes by hearing. It’s a good thing it doesn’t come only by reading. Until modern times a relatively small percentage of the population has been able to read. Today’s saint had faith enough to move mountains, yet if he looked at the page of an open book, he saw only impenetrable symbols. 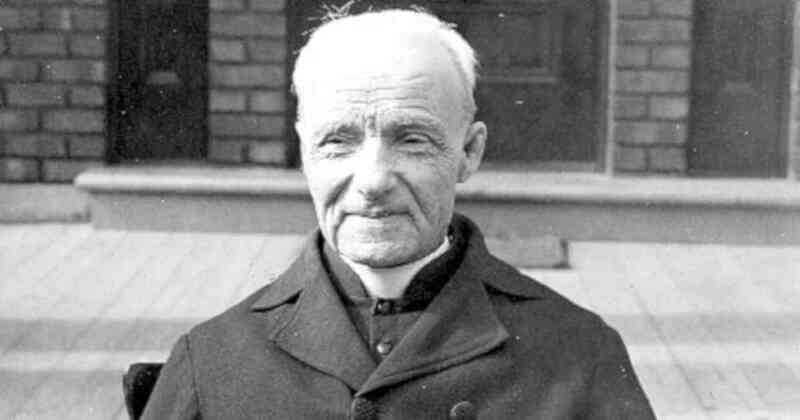 André Bessette was functionally illiterate. His faith did not come by reading or study. It came by hearing, by watching, by praying, by listening, and by reflecting. As Catholics we are not a people of the Book. We are a people of the Word. And that Word is an idea and a person long before it is a script. “In the beginning was the Word, … and the Word became flesh,” Saint John’s Gospel begins. Our faith would live and thrive even if the Bible had never been compiled. The Church is a living Word. Saint André’s life witnesses to the primacy of the living Word over the written Word. Alfred took the name of this same parish priest, André, and after much difficulty was allowed to join the Congregation as a brother. He was given the unremarkable task of minding the door of a boys school. He welcomed guests, delivered mail, and ran errands. But then something happened. And happened again. And then still again. Sick people who came to visit him were cured by his touch and his prayers. Brother André insisted it was God and St. Joseph. But thus began a many decades-long ministry to the sick of Canada who sought out his healing touch. The lines of sick people became so long that he could no longer do his job at the school door. He attended to people all day long. He became famous for all the right reasons. He built a modest shrine to St. Joseph on a hill. The shrine became very popular and grew until it became, and still is today, the most dominant structure in all of Montreal. Our saint did not live to see it completed. But he lived so long and so well that 1 million people filed past his casket when he died. He edified people not by his learning but by his healing and by the warm humanity that animated it. Saint André, you healed the sick and found time to attend to all who came to you. You encouraged those who sought you to confess their sins and to go to Mass. Intercede for all believers so that we see in Jesus our divine physician, healer of soul and body.